Be sure to stop by the author's blog to leave comments! Cindy Koepp was interviewed for 'Where Writers And Authors Meet' blog hop. The answers to her interview can be found on her blog: Myriad Musings. 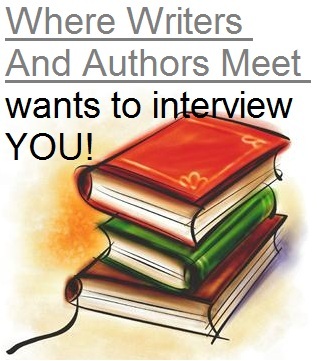 You can find out more about the interview blog hop here. The following questions were posed to her by Tc McKinney as part of the author interview bog hop. Hop on over to Cindy's blog to hear more about her, what inspires her, and what started her journey in writing. 1.Your book 'Remnant in the Stars' you say was originally based on a role-playing session with a few friends and yourself in high school and that in its "final" form it has had 6 different openings. This is indeed very interesting to me as I love RPGs myself. Tell me Cindy, what began your interest in RPGs? I started playing RPGs because they were live stories. I enjoy a good story, so being able to participate in one was a real blast. My highschool group played GURPS, usually Space. In college, the group I played with was also into GURPS Space or Superheroes, but we played Paranoia now and then or Star Fleet Battles. I was usually one of the only girls playing, so when I attended an AggieCon one time and discovered a whole flock of girlie gamers, I was rather surprised. She has chosen Ruthie Madison to interview next-> you can find the questions she is sending to Ruthie on Myriad Musings! Ruthie's responses, when completed, can be found on her blog here: http://www.madisonpost.wordpress.com.